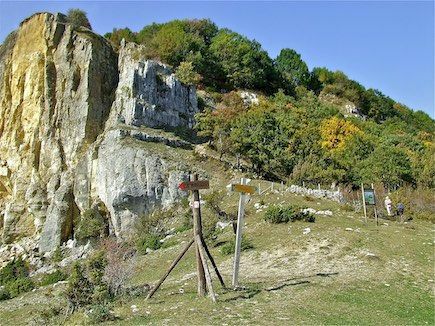 Carpegna and Sestino are starting points for hikes in the 'Parco Naturale Regional Sasso Simone e Simoncello' (up to 1204 meters) and on Monte Carpegna (1400 m). The -> Park offers a remarkable variety of plant and animal species and one of the world's largest oak forests "Quercus cerris". Hiking maps are available. At the edge of the park there is an adventure playground suitable for children. 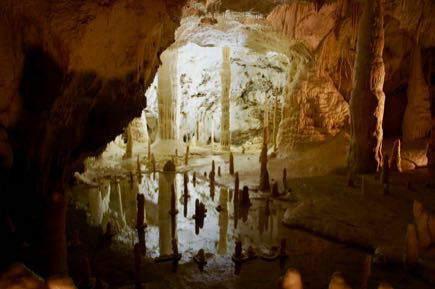 The latter also applies to the Furlo reserve, a spectacular gorge with interesting bird life. 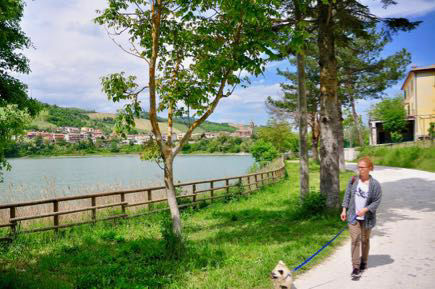 A rich birdlife can be found in the Natural Park –> Monte San Bartolo north of Pesaro ... favored by the rugged cliff of the mountain and the Mediterranean vegetation. There are several natural beaches within walking distance. 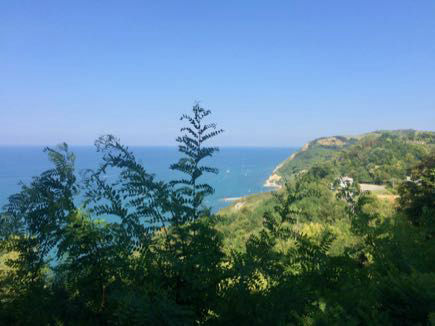 Below Ancona, the –> Parco del Conero offers some of the most beautiful beaches in Italy. In between rank the well-known endless sandy beaches of holiday brochures. Scattered dog beaches allow even in summer four-legged friends and owners swimming in the sea. 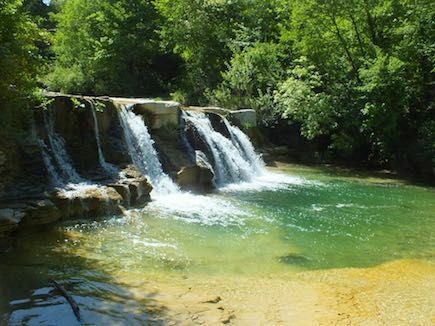 Personally I like bathing and swimming in the limpid water in Apennine creeks, among rocks, waterfalls and vegetation. Directions are available. Anyone who moves with open eyes in our region, meets at every turn unexpected and edifying. See this small compilation of the most important highlights.